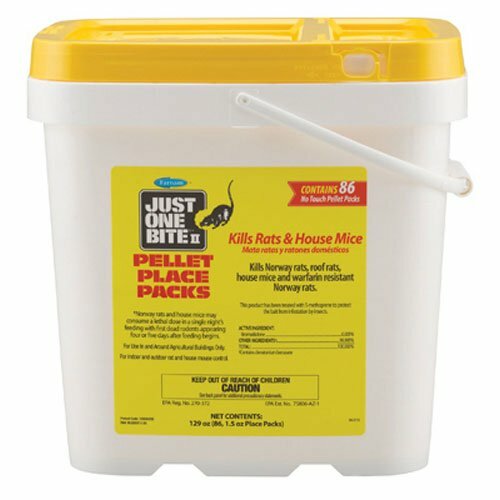 With 80 percent of reviews rating this product five stars, Just One Bite is apparently doing something right in making a successful rat and mouse killer with their bait chunks. Just One Bite II exterminates mice, disease-carrying roof rats, and Norway rats. Both Norway rats and house mice can consume a lethal dose in only one feeding. Most often, rodents such as rats will be found along walls or near burrows. So, this bait is designed to be used in bait stations where other wildlife, pets, and children cannot come into contact with the chunks. These chunks will kill other wildlife if exposed. Some rats are now resistant to older poisons such as warfarin. The active ingredient in these chunks is bromadiolone, which is a nerve poison that attacks the rodent’s liver. 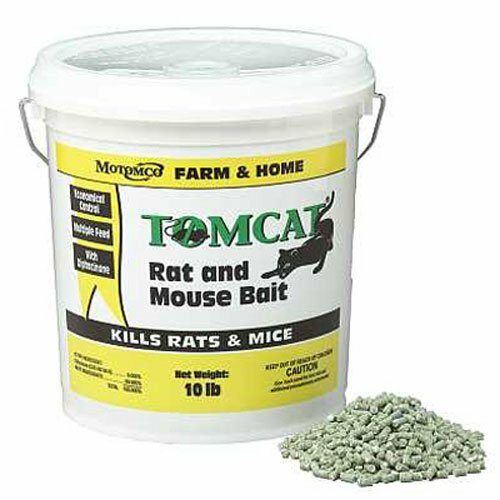 This product is designed for use around agricultural buildings, so its commercial-grade effectiveness is highly successful in eradicating rat and mice infestations. Some rats are now resistant to older poisons such as warfarin. House mice typically travel just 10 to30 feet from the security of their home. Roof rats and Norway rats will normally move 100 to 150 feet around their nests to find food or water. Low profile bait stations can be placed under or behind refrigerators, furniture, or inside cabinets. Pay attention to signs that mice frequented an area such as droppings and gnawing. During daylight, rats generally run along the lines of buildings and fences, rather than out in the open. Overwhelming reviews claim that it works extremely fast. If the rodents eat the poison, many people say it takes care of the problem within a day, for a few people sometimes only hours. 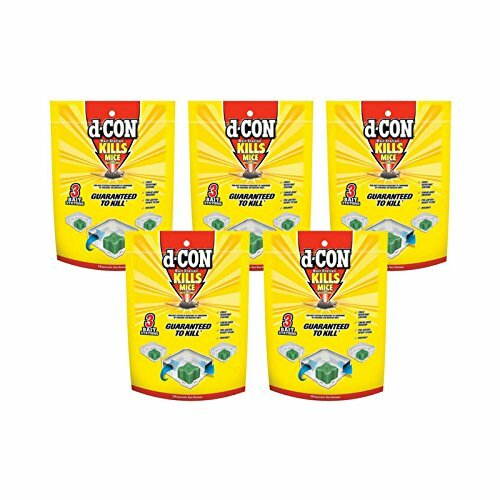 According to some consumers, this product also seems to dry up dead rodents, therefore leaving no odor behind (for some people that is—this is no guarantee). Instructions state not to use near or inside ventilation duct openings. Be extra cautious not to contaminate water or food areas with the poison. Always wear gloves when handling this product. While the pellet packs rate slightly lower than Just One Bite’s Bait Chunks, 73 percent of reviews are still five stars. 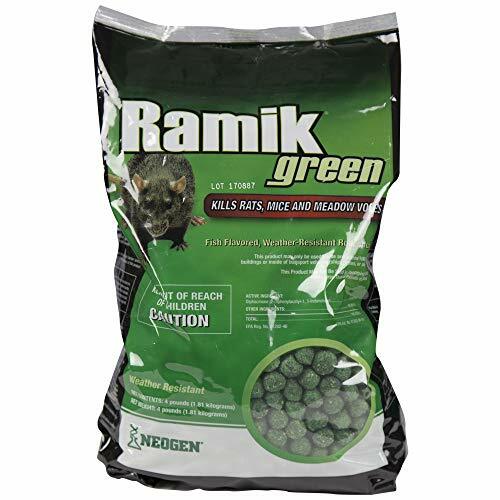 Moreover, the ease of use with these pellet packs makes it a winner in its own right. While there are fewer reviews of these bait bars than some of the other Just One Bite products, the five-star reviews make up nearly 80 percent. If you don’t mind putting on some gloves and breaking up the bars by hand, these are an excellent option.